For decades, Georgia was infamous among the harshest states nationally in enforcement of post-employment noncompetes. All of that changed abruptly effective May 11, 2011. With the passage of HB 30 [ O.C.G.A. §13-8-50 et seq. ] effective on that date, a new and softer era of Georgia noncompetes began. The result is a bright line divide in enforcement of restrictive covenants, between those signed before May 11, 2011 1 (which are governed by the old and strict common law of noncompetes), and all those signed on or after that date (which must be analyzed under the new and gentler Act). The hallmark of the new Act is its grant of express authority to courts to “modify” overbroad covenants to make them reasonable. That’s only authority – not a mandate. Interestingly, the Act’s definition of “modification” includes (paraphrasing): “severing or removing, or “enforcing provisions to the extent reasonable…”. It does not, however, expressly include the power to add. The new Act applies only to certain types of employees, including those soliciting or making sales, managing or directing others, or who meet the definitions of “key employee” or “professional”. Further, the Act only applies to agreements between employers and employees, sellers and purchasers of a business or commercial enterprise, and a list of five other business relationships. The Act has other important features, including those relating to time limits, relaxed standards (especially as to “front end certainty”), essential definitions, and a new burden-shifting structure once employers show compliance with the statute. 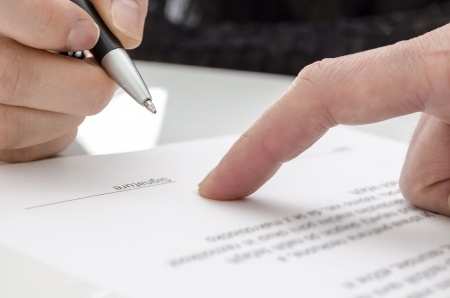 If you are an employer whose employee noncompetes were signed before May 11, 2011, it is time to consider replacing them with newly signed documents that take advantage of the Act and match the concepts in it. If you are an employee who has signed a noncompete or is considering signing one, this is the time to carefully examine the document’s enforceability – it can affect your livelihood.